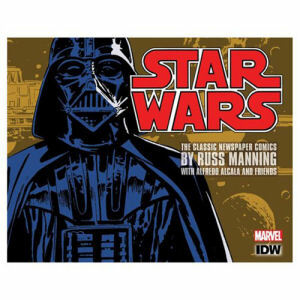 From the Star Wars collection by Penguin Random House. Star Wars The Classic Newspaper Comics Vol. 1 Hardcover Book. From the Star Wars collection by Penguin Random House. Star Wars The Classic Newspaper Comics Vol. 1 Hardcover Book. The hardcover book contains nearly 600 sequential comic strips from the strips premiere on March 11 1979 to October 5 1980. The 260 page hardcover book measures about 11.5 inches tall by 8.8 inches wide. Ages 15 and up.